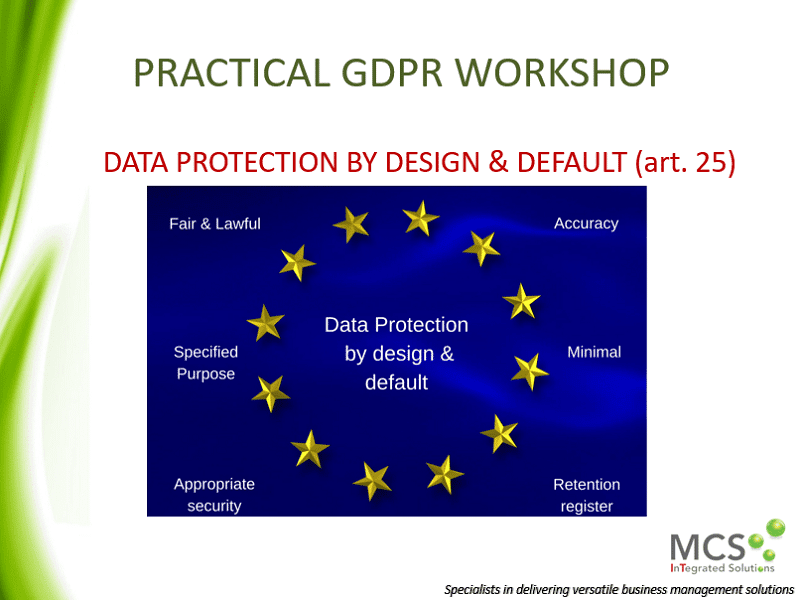 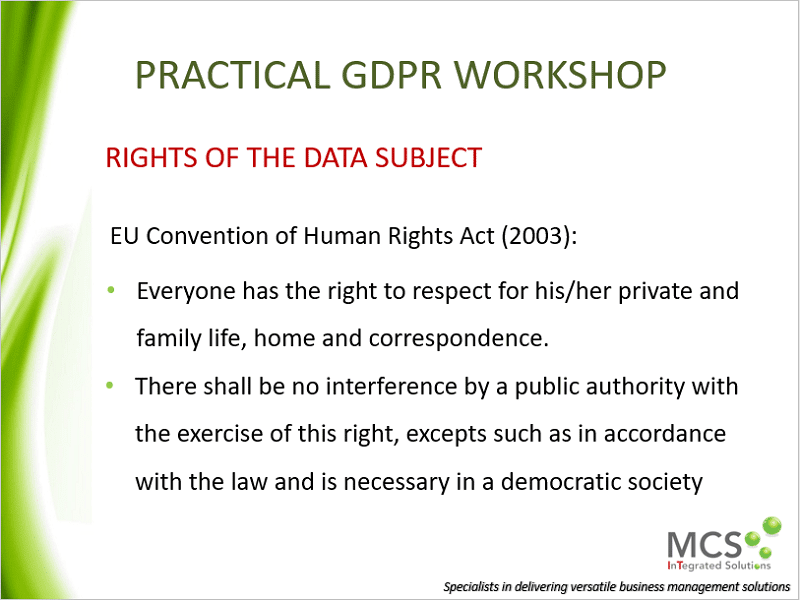 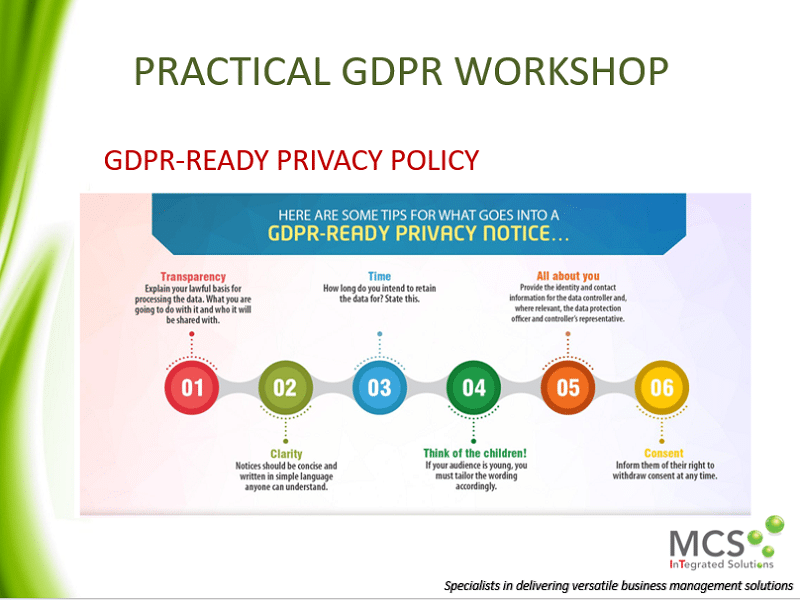 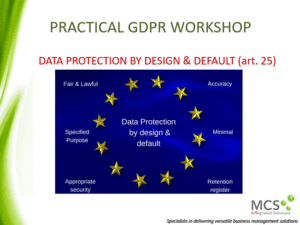 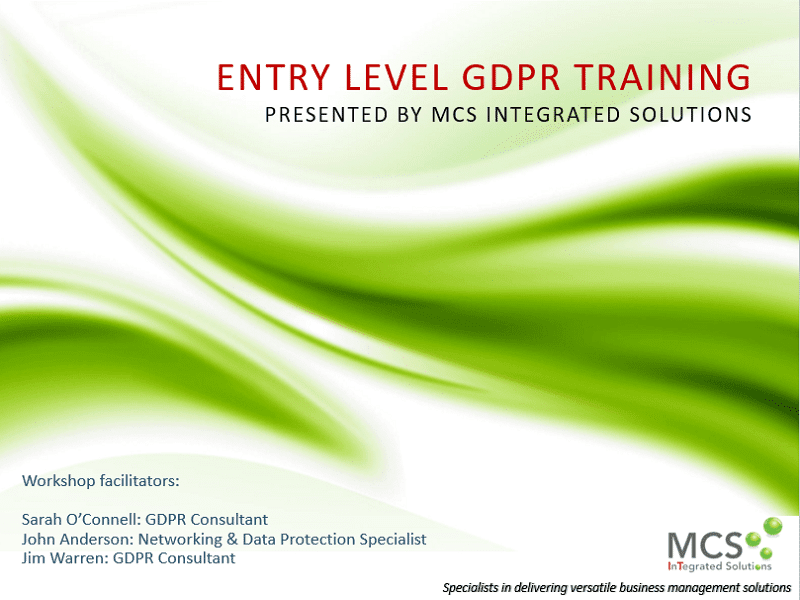 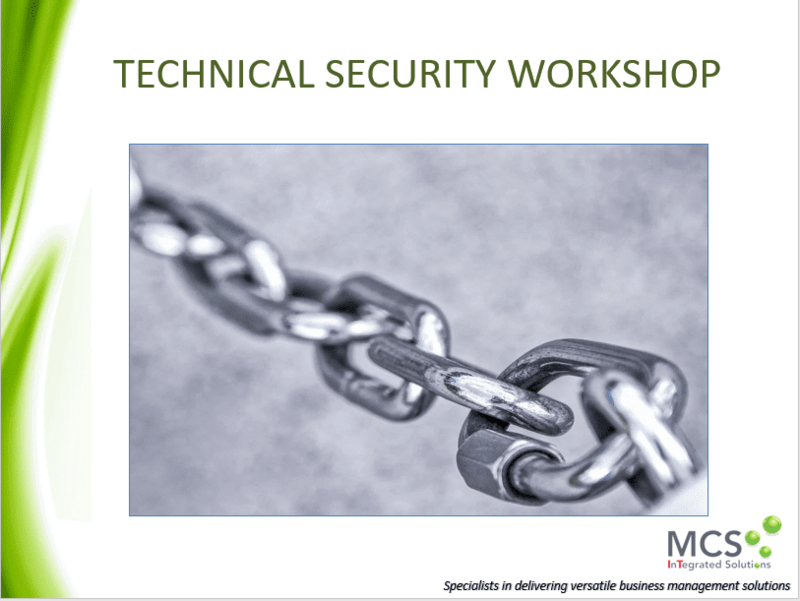 In addition to the one-day foundation workshop, we run a series of GDPR training courses here at MCS, allowing you or your staff the opportunity to gain various degrees of knowledge and become familiar with key terminology. 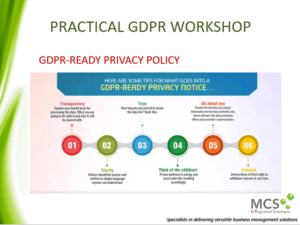 Choose from a short 2-hour, introductory overview session, which gives you an understanding of the essentials or alternatively one of a series of in-depth half-day training courses on the more detailed aspects of the GDPR legislation. How do you prepare your business to find all personal data for a SAR? 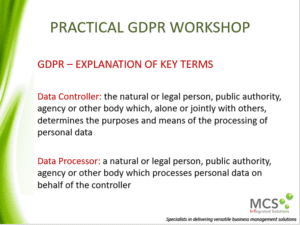 What are the obligations of each? 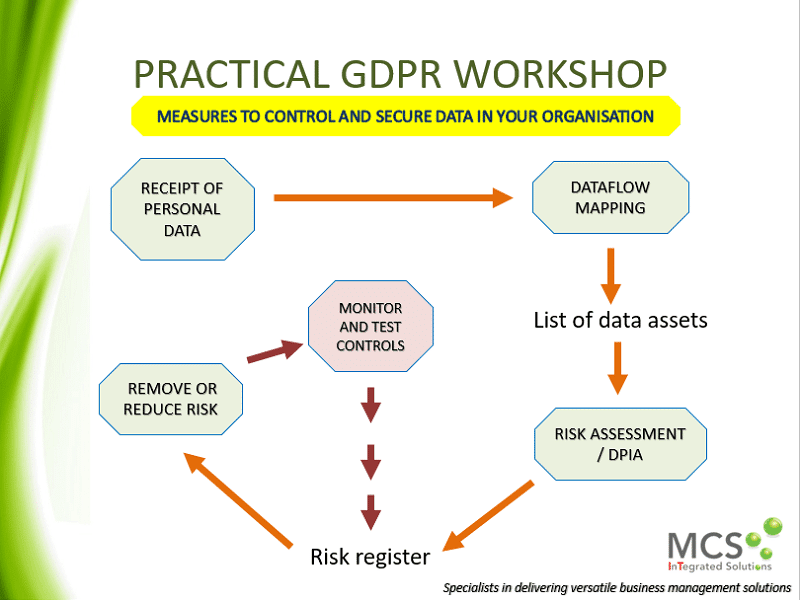 How do you track all data flows in your business? 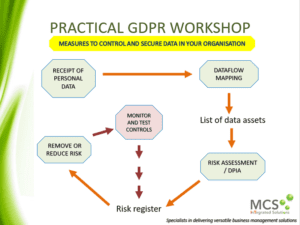 What does ‘risk assessment’ mean in the context of data protection? 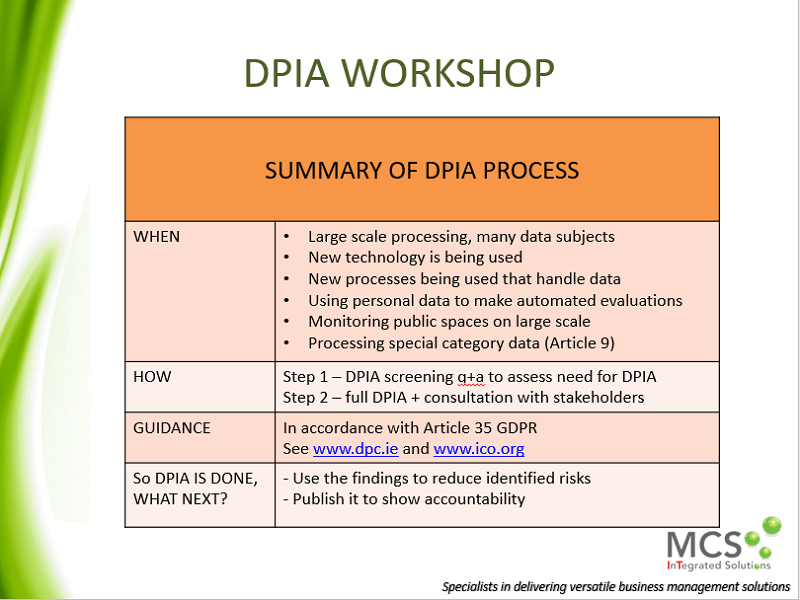 How do you assess the risks associated with personal data processing? 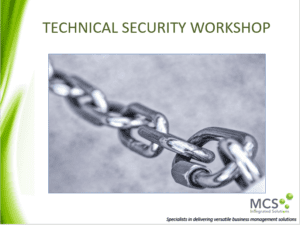 How do you manage the risks & also manage the costs of reducing those risks? 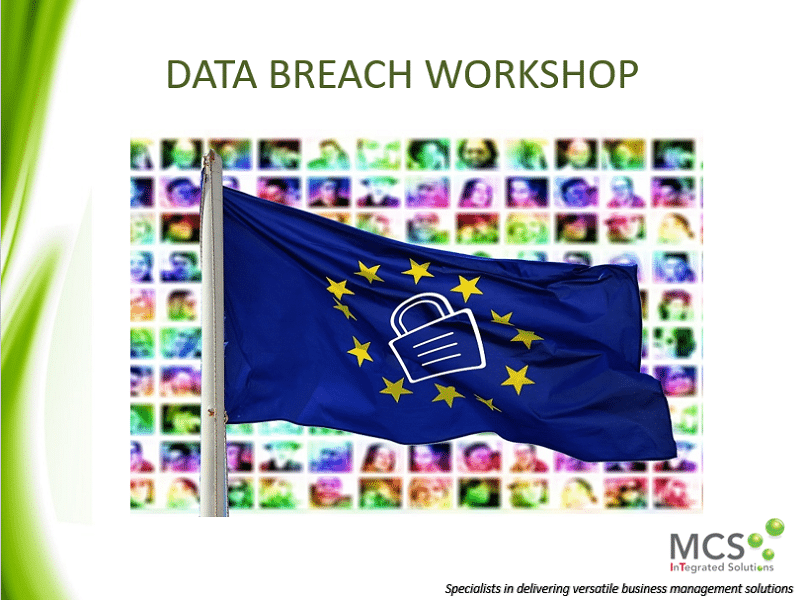 How can you best protect your business against breaches? 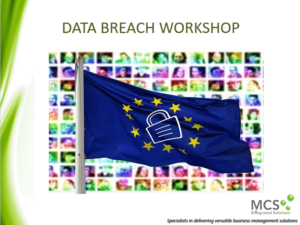 Your legal obligations once a breach has occurred – who is responsible? 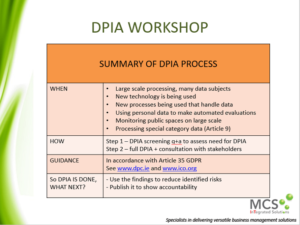 What is a DPIA and when is one necessary? 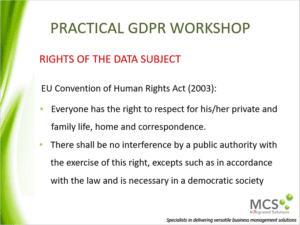 Which organisations need one and why? 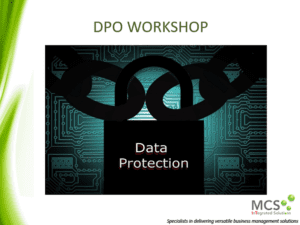 Can anyone become a DPO?